My sister and I like to plan a family trip once a year. It is a time for us to leave behind the chaos and routines of our individual lives to spend some real, honest to goodness quality time with one another as a family. We’ve been to Hawaii, Thailand, Taiwan, Tokyo, and other wonderful places around the world for our family trips. Picking the destination has always been a challenge though, due to my dad’s dietary restrictions. Basically, he will only eat authentic, cantonese-style chinese food. And even within that, there exists an even narrower list of acceptable dishes for him. However, there is a short list of exceptions in dire situations, when the absence of such authentic chinese food is unavoidable, such as our trip to Thailand. This list includes items such as fish and chips, McDonald’s, and prime rib. I obviously take after my mom in the food arena, with my hearty appetite for anything delicious! Anyhow, after hearing our dad sulk about the absence of good Chinese food at our previous trips, my sister and I finally decided to take the fam to China this time, so that my dad can have his way just this once! 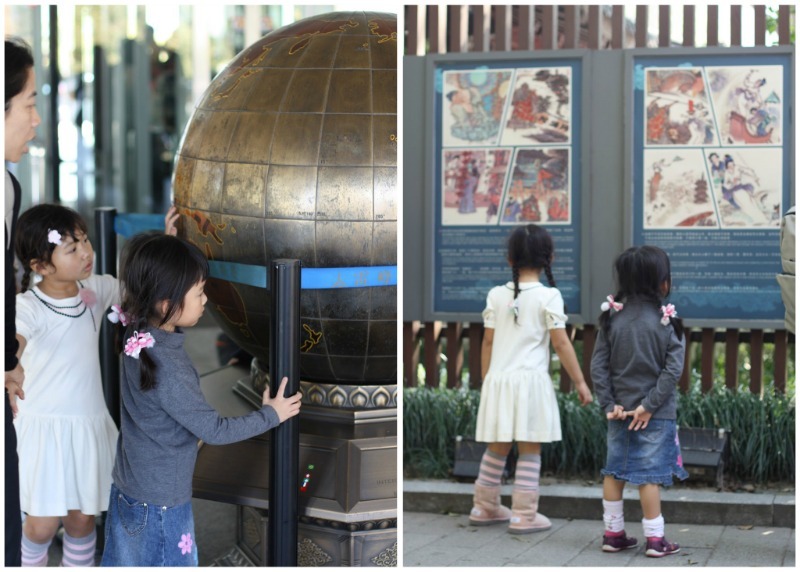 🙂 We also thought it would be a good idea to begin exposing our kids to China’s culture and history now that they’re almost 5. 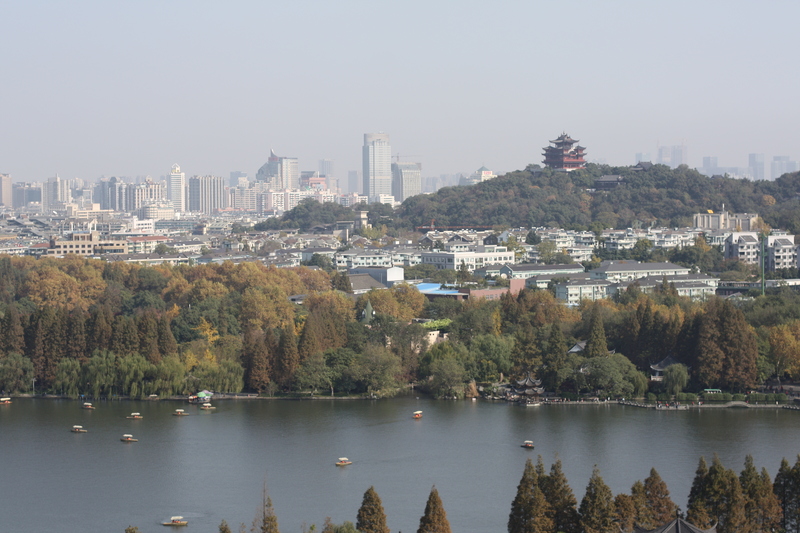 My sister picked Hangzhou, having heard of it’s natural charm and beautiful West Lake. 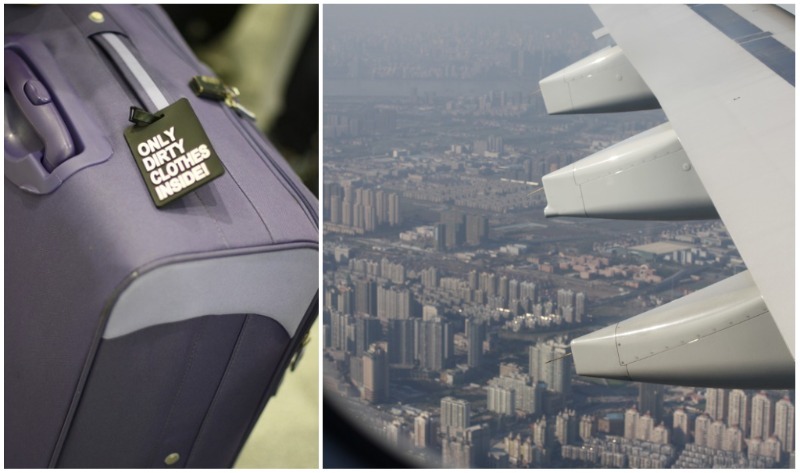 It is only a short, 2 hour flight to get to Hangzhou from Hong Kong. 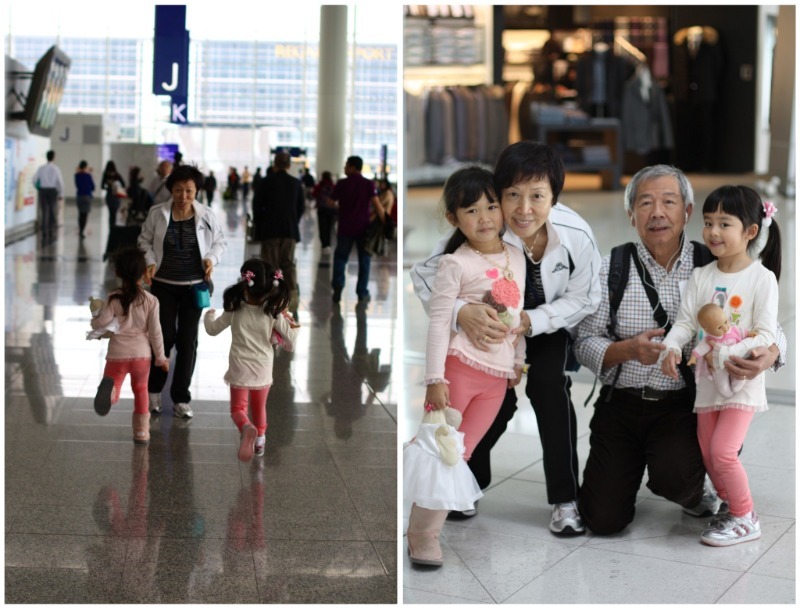 The girls were ecstatic to have a plane ride together again. This time, they asked to sit by themselves. What a milestone! Although I was seated right behind them, I couldn’t help but beam with pride at their courage and independence. Excited to travel together again! The girls chatted non-stop for the entire 2 hours, halting only when the flight attendant brought their meals over. When we descended, they began singing in harmony, creating quite a happy ambiance for everyone around them! 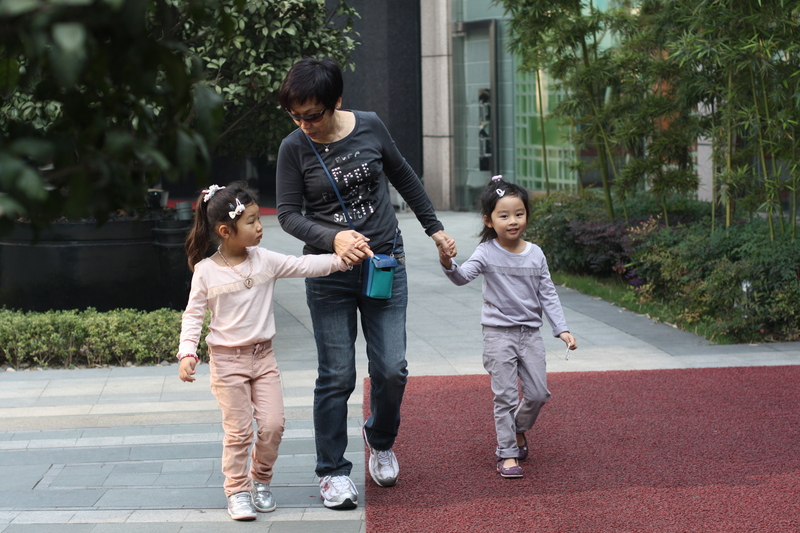 We stayed at the Hyatt Regency right across from West Lake, and got connecting rooms so the girls could maximize their time together. My parents’ room were just down the hall from us, and the girls wasted no time jump-testing all of our beds. 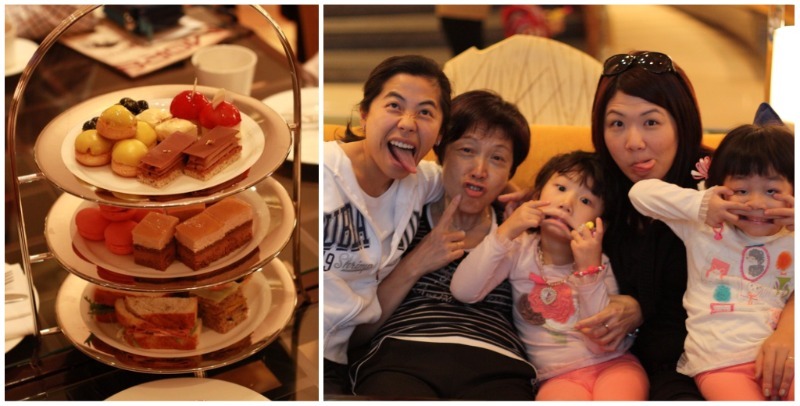 First order of business–high tea in the lobby lounge. We indulged in a variety of savory and sweets that quickly resulted in a sugar high combat. The girls couldn’t get enough of their grandma. They always insisted that she sat in the middle, walked in the middle, and held both of their hands. My mom, who normally is always stressed about something, becomes a completely different person around the kids. She is playful, giddy, and super creative. They love it when grandma makes up stories to tell them, and will ask her to repeat the story over and over and over again. 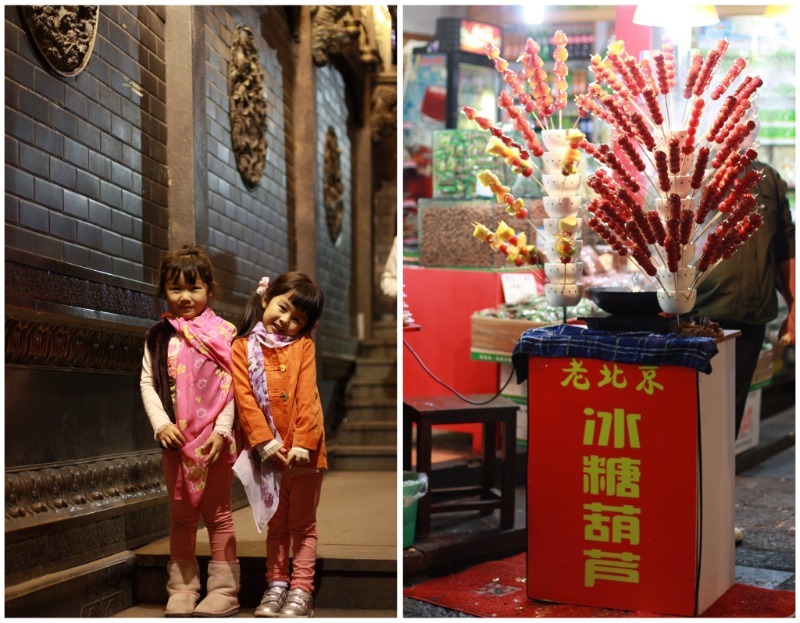 On our first night in Hangzhou, we visited the famous Qinghefang Ancient street which embodies both the history and culture of Hangzhou. We loved all the little shops there, full of character, in addition to the restaurants and teahouses scattered about. 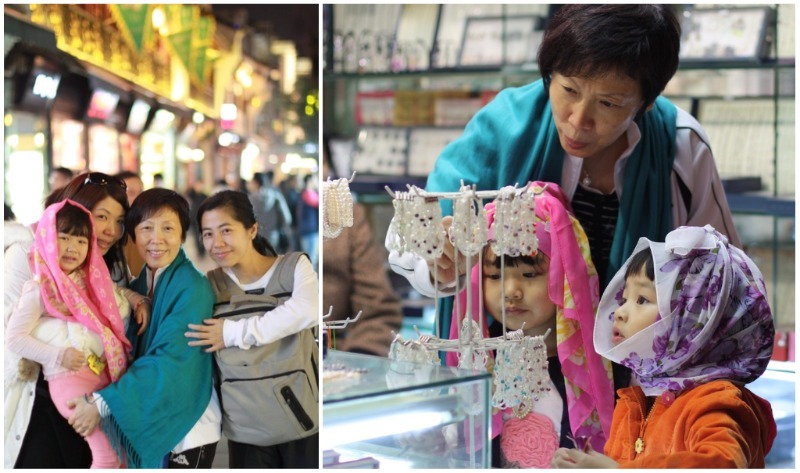 The girls each picked their own wrap to accessorize themselves, and had a great time perusing around the jewelry shops. Even after so many trips together, my sister is still always overly ambitious about the efficiency of our daily itineraries. She wakes everyone up around 9am, intending to leave by 10am for breakfast. That never happens, as it usually takes us at least 1.5-2 hours to get everyone dressed and ready to head out the door. 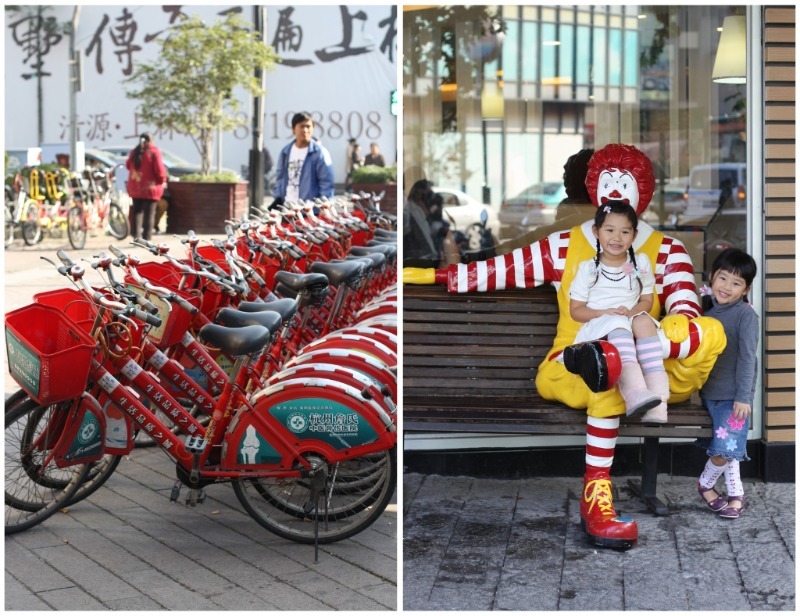 On our first morning at Hangzhou, we strolled along the streets near our hotel and West Lake to find a local place for brunch. Dumplings and noodles were in order! 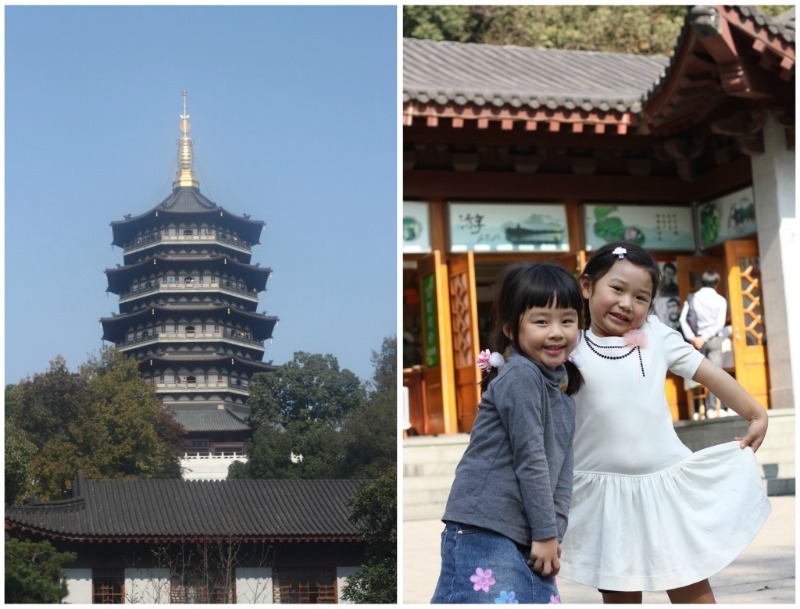 Then we arranged for a chauffeur and van to take us to various sightseeing spots, beginning with the Six Harmonies Pagoda which offers a magnificent panoramic view that overlooks the Qiantang River. The girls' first Chinese history lesson! 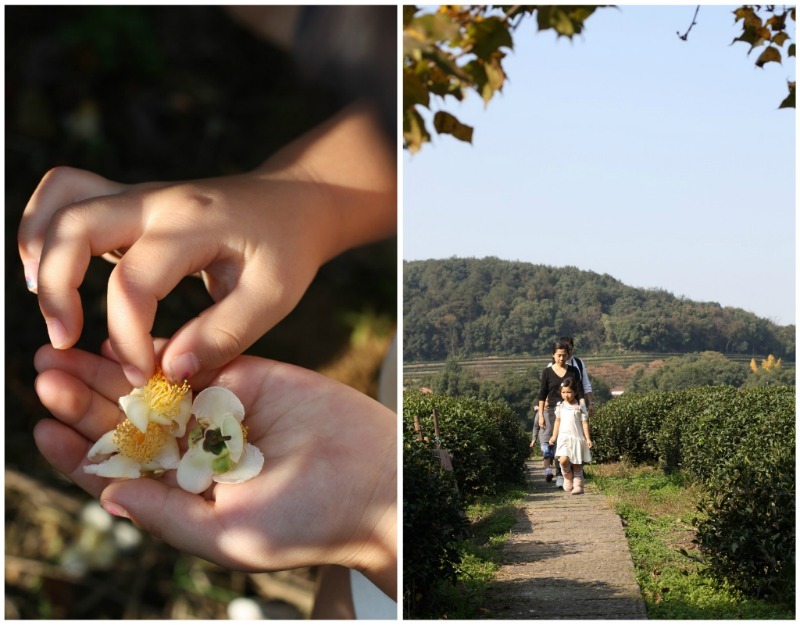 Next, we stopped to touch and smell the tea leaves at a tea plantation, kind of like a winery tour in Napa Valley except this was for tea and not wine! Next PostHangzhou Trip Part II. nice place and cute shots! It’s a very big blessing when the whole family stay together. May God bless you and your whole family. Looking forward to reading ur part 2.